Asthma is a chronic condition that many people suffer from. Currently there is no known cure but there are many ways to help control asthma. While these facts are relatively well known did you also know that there are several different types of asthma? FilterStream is committed to helping all of our readers understand the different types of asthma and how to help control the symptoms related to each. 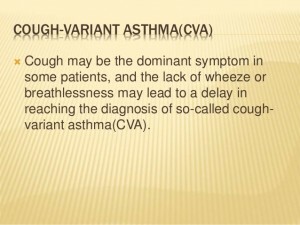 Cough-variant asthma and nocturnal asthma are closely related. Keep reading to learn more about these two types of asthma. 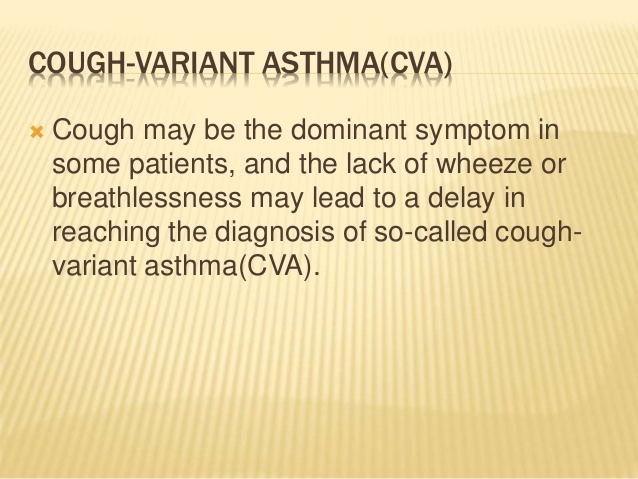 Cough-Variant asthma is a less common form of asthma that is difficult to diagnose. The only symptom associated with this form is, cough. It presents as a dry and non-productive cough meaning that the cough does not rid the lungs and airways of mucus. Cough-Variant asthma is most commonly found in young children and can often lead to classic asthma. There is no known cause for this form of asthma but it can be triggered by allergens and some forms of medications like beta-blockers. A methacholine challenge can be performed to determine if you have Cough-Variant asthma. This involves a physician administering small doses of methacholine mist while the patient performs a spirometry test, which measures the amount of air you inhale and exhale. A positive diagnosis for cough-variant asthma means that your lung function has decreased by 20 percent or more. Cough-Variant asthma is common at night and can be a symptom of nocturnal asthma. Nocturnal asthma is a very serious form of asthma. It occurs when asthma symptoms are present at night or during your sleep cycle. As with other forms of asthma, the causes are unknown. 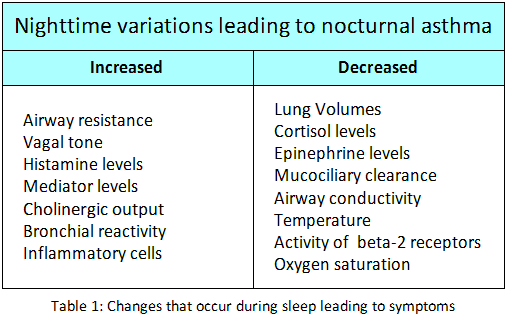 Explanations for nocturnal asthma can include an increased exposure to allergens at night, the cooling of airways, lying in a reclined position, hormone secretions during circadian cycles, and GERD. Nocturnal asthma is common in children representing almost half of the child asthma sufferers. Nocturnal asthma can cause those who suffer from it to awaken during the night due to an attack at least once a week and about 40 percent of people say their symptoms awaken them nightly. This awakening can cause sufferers to be more tired and irritable during the day, which can lead to a loss in concentration and productivity. 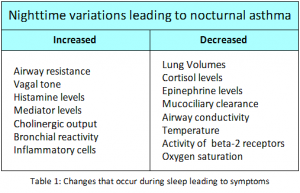 Nocturnal asthma can also make it more difficult to control daytime asthma symptoms. As with all forms of asthma, if you suffer from cough-variant or nocturnal asthma you should avoid your triggers. To limit your exposure to allergens at night and reduce the symptoms of nocturnal asthma place an air purifier like the AirTamer A302 next to your bed at night. As cough-variant asthma can occur at any time of the day and anywhere consider one that is convenient to take with you like the AirTamer A310. Preventing any type of asthma attacks is our foremost concern here at Filter Stream. If you have any questions or comments let us know below!